Back by popular demand! We sold a pair of identical bookcases @ Olde Chicago a few years ago. We have found this one on our last trip to Europe. And we are able to sell this one for a smaller price. 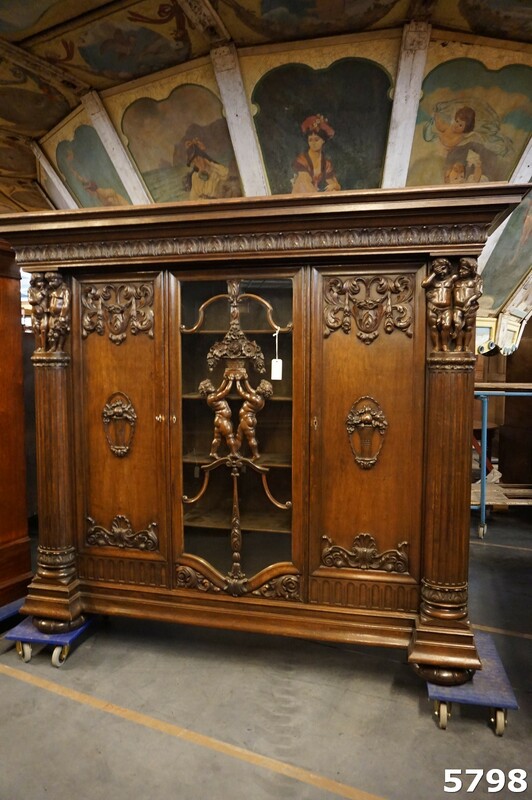 This oak bookcase features multiple carved Putti and finely carved columns.